If you’re looking to enjoy a rustic, remote and robust corner of the world, you’ll be pleased to discover Sundance-High Plains RV Park and Cabins, nestled in the heart of Lamar, Colorado. Hitch your RV to one of our 22 fully-equipped RV campsites, pitch your tent under the stars, or unwind in one of our deluxe wood-décor cabins, equipped with private bathrooms and other great amenities. 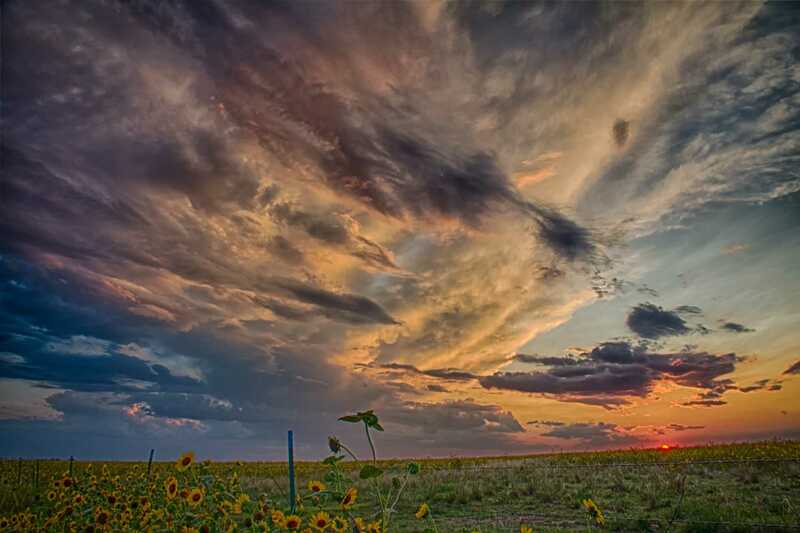 You’ll not find more breathtaking sunrises or sunsets than at Sundance-High Plains! Stay a while, and enjoy our sprawling 4-1/2 acres, surrounded by desert plains, bustling rodeos, and endless outdoor attractions. Our family-friendly, pet-friendly and outdoor enthusiast-friendly RV park welcomes a diverse customer base, while providing a safe and wholesome environment for all. Wow! This was a super great place to stay. We stayed in the motel and it was clean and very comfortable. The owner was so nice. Definitely would recommend this place to anyone. Wonderful! I spent about two months out here for work. New management since just recently. Decent WiFi that reaches far, laundry, dumpster, and peaceful, friendly staff, lots of room to move around. Great theme, and well decorated, nice office/lounge. Very reasonable rates. I will look forward to staying here again. Great base for exploring beautiful southeastern Colorado. Quiet setting on the south edge of town, surrounded by open space; rooster wakes up early, a nice benefit for those of us eager to be up and about. Rooms not overly large, but comfortable, clean, and imaginatively decorated. Continental breakfast simple but sufficient, with fresh doughnuts, cereal, juice, yoghurt, and coffee. Staff friendly, never intrusive but always available to help. Very kind and knowledgeable staff. Very clean, reasonably priced RV spaces and rooms. It was my first overnight in Lamar. And they made it very comfortable. Will be back. Very nice motel room. Very clean and comfortable beds. I love the rustic decor- so cozy. Refrigerator and microwave. Quiet place. Don’t waste ur money on those hotel chains. Stay here, it’s worth it!! !